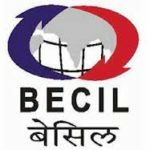 BECIL Programme Coordinator Recruitment 2018 :- Broadcasting Engineering Consultants India Limited (BECIL) a Govt. of India Enterprise under Ministry of Information and Broadcasting Are Recently Invited to the Online Application Form for The Post of BECIL Programme Coordinator Recruitment 2018. Those Candidates who are interested in the vacancy details & completed all eligibility criteria can read the Notification & apply Online. Computer Knowledge, Report Writing andCommunication Skills Required. Payment Mode : Pay the Exam Fee Through Debit Card, Credit Card, Net Banking and E Challan Fee Mode.